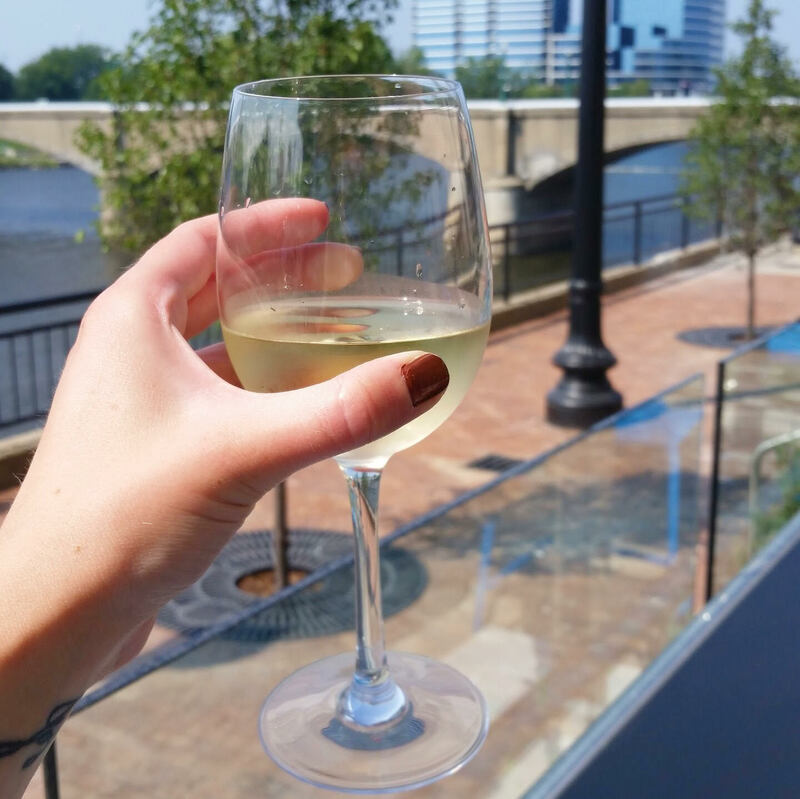 The Kitchen by Wolfgang Puck recently opened its doors in the Amway Grand Plaza Hotel with a full menu of made-from-scratch comfort food items and an incredible view overlooking the Grand River. So what can you expect at The Kitchen? You can find gourmet pizzas, fresh salads and homemade pasta noodles with a friendly staff and welcoming casual atmosphere at The Kitchen. 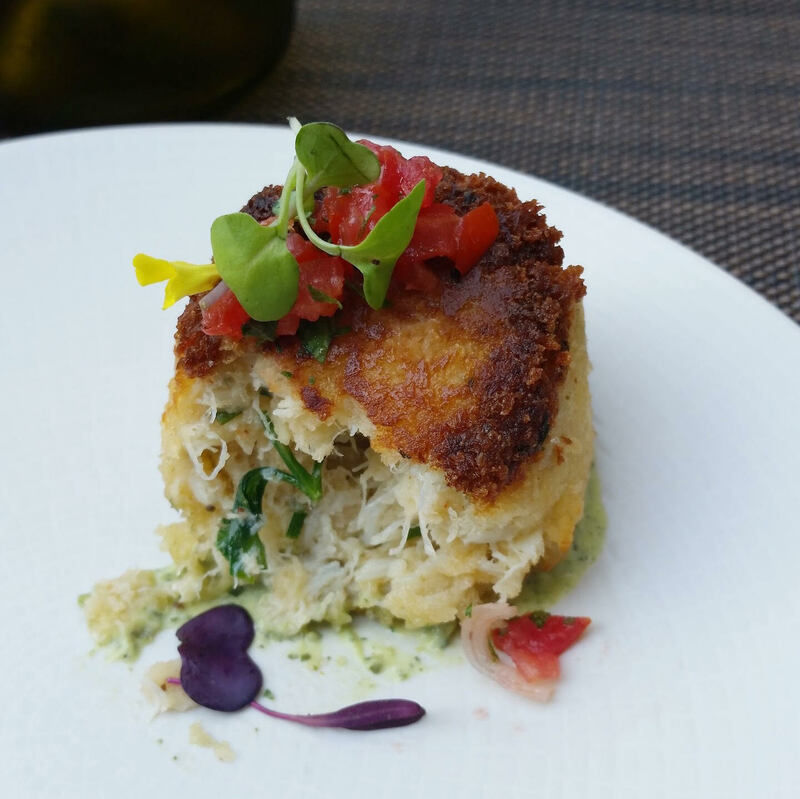 Start your meal with the crab cakes garnished with basil pesto vinaigrette and marinated tomato relish for a crowd pleasing dish. It's an understatement to say my table was obsessed with these crab cakes because it was the topic of conversation for most of the night as well as this view from the patio. If you're in the mood to turn up the heat try the "kung pao" lettuce wraps with spicy chicken, toasted peanuts and crispy rice sticks. 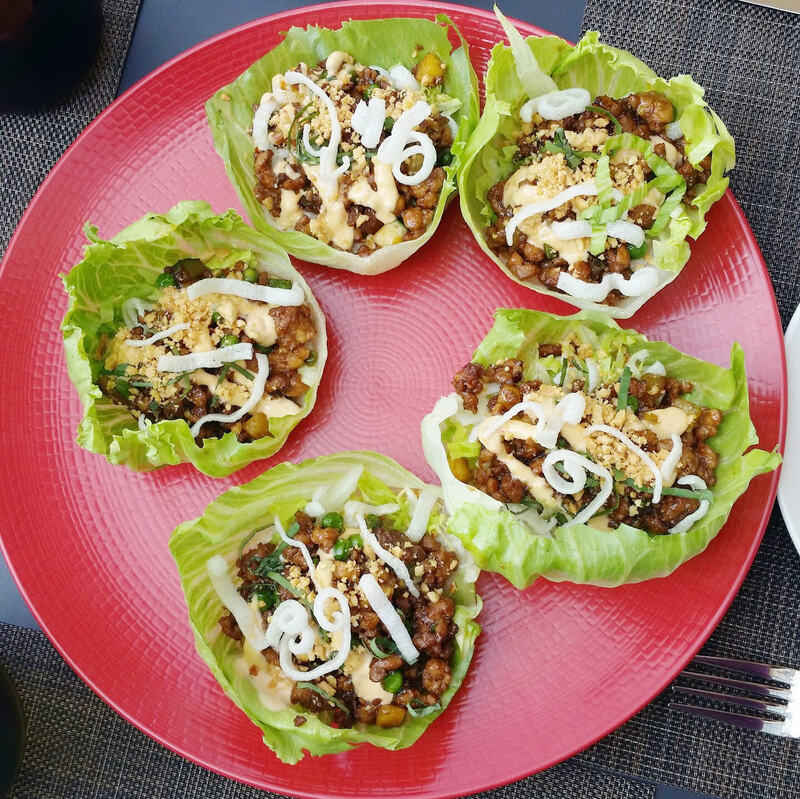 These lettuce wraps are finger licking good and the crunch from the rice sticks were a fun addition to the dish. The Kitchen features a handful of really amazing gourmet pizzas that they make from scratch with fresh ingredients. I'm a true margherita pizza lover and this creation with tomato sauce, fresh basil and mozzarella was honestly one of my favorites. 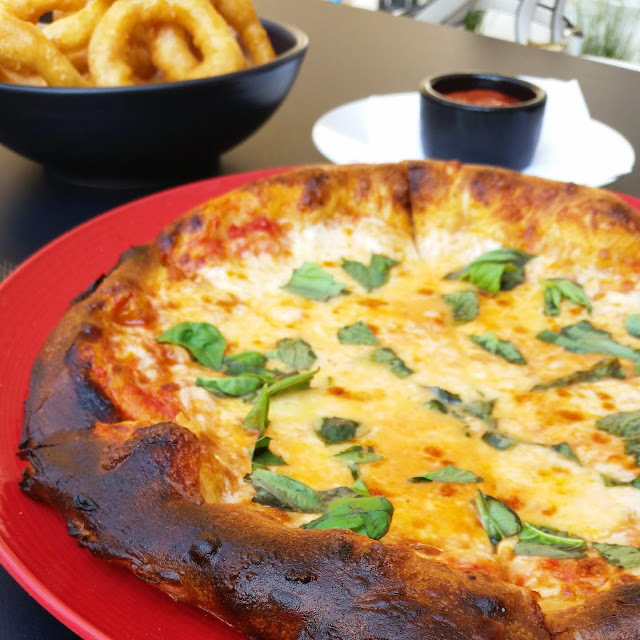 The crisp thin crust and fresh ingredients makes all the difference and paired perfectly with a cool glass of chardonnay. 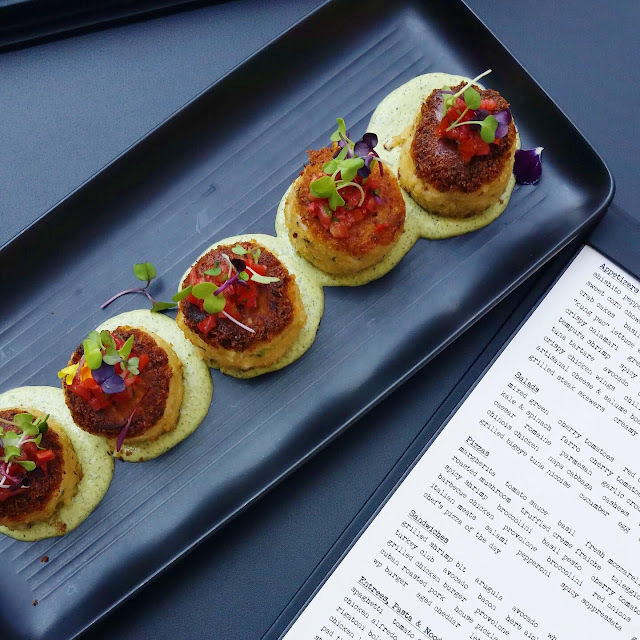 The Kitchen is a perfect addition to the downtown dining scene with the ideal combination of delicious food, amazing service and a great view of the city. Can't wait to try this! 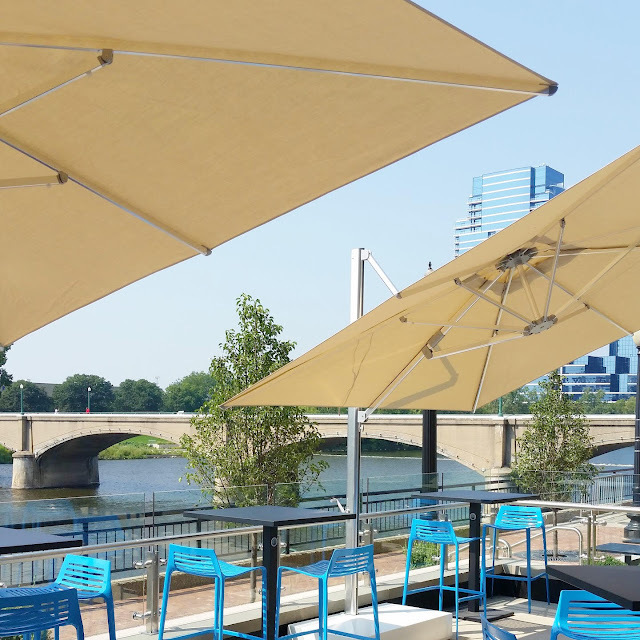 I'm a sucker for a celebrity chef restaurant, and the waterfront location makes this even more enticing.